Our goal is to provide solutions for maximizing profitability and efficiency. We help your business identify areas to improve profitability and growth. We prefer to take a proactive vs. reactive approach to your tax services. Richardson Kontogouris Emerson LLP (RKE) is a full service public accounting firm advising and assisting our clients with their accounting, tax, financial and strategic planning needs. Founded in 2006, we created an environment of higher expectations – not only in terms of what our clients expect of us, but what we expect of ourselves. We have adopted a holistic business strategy in which our service areas work closely together to make sure we are taking into account our client’s overall business strategy when making important financial decisions. This unique service model empowers us to offer distinct solutions and is responsive to our client’s needs. Our professionals and team of advisors specialize in servicing privately held middle-market businesses in a broad range of industries. At RKE LLP, our goal is to provide each client with personal service and quality work. We strive to exceed our clients’ expectations, year after year. RKE provides compliance and consulting services to a number of companies in the Advertising and Marketing space. This industry vertical has a unique set of accounting, tax and financial requirements. These often include issues related to appropriate categorization and recording of media buys, revenue recognition, tracking pre-paid expenses and reimbursements, independent contractors vs. employee classification, and business operating efficiency challenges. Our in-depth experience with this industry gives us the know-how to ensure that issues such as these are handled accurately and effectively and that we are identifying the available tax incentives, deductions and credits available to them. RKE has experience working with a variety of aerospace entities from start-ups to well-established companies looking to expand their operations. In addition to assurance and tax compliance services, we provide specialized consulting services related to long-term contracts, entity structuring and state tax credits and incentives. Our critical analysis and practical solutions will identify business trends and opportunities for growth and help improve operational efficiency and profitability. RKE services a large number of entities operating in the apparel and related accessories space. We have extensive experience working with manufacturers, wholesalers, importers and distributors. Our firm recognizes the unique needs of this industry and has positioned itself as a leader through client driven innovation and superior customer service. We are well versed with the complex financial and operational challenges facing companies functioning within this industry. We have a committed team of professionals that focus exclusively on apparel manufacturing and distribution companies to ensure that they are identifying the available tax incentives, deductions and credits available to them. As former manufacturing executives, owners and operators, our advisors have real-world experience that translates into practical solutions. Dedicating personnel to this industry provides companies with a knowledge base unsurpassed by competitors and conveys a commitment that RKE has to this industry. RKE professionals have extensive experience servicing the construction industry, and our clients represent the major segments of the industry including general contractors, specialty trade subcontractors, building material suppliers and architectural firms. Our experience with construction contractors has given us a unique insight into the issues impacting this industry. From understanding the percentage of completion method of accounting and alternative minimum tax adjustments, identifying tax incentives, deductions, and credits, to assisting companies in securing financing, we provide the full scope of specialized accounting, consulting and tax services to this complex industry. RKE’s skilled financial experts have years of experience in providing accounting, tax and consulting services to those in the engineering profession. We understand the unique challenges that engineering practices face. As our clients' trusted advisors, we work with them throughout the year to evaluate firm’s performance and to ensure their financial needs are met. Because we cater to the specific requirements of the engineering industry, we are able to develop a customized plan to help companies measure up against, or even exceed, industry benchmarks. We work together with each client to understand the unique nature of each business’ needs to identify the available tax incentives, deductions and credits available to them. Our critical analysis and practical solutions will identify business trends and opportunities for growth and help improve operational efficiency and profitability. RKE professionals are knowledgeable in all aspects of the food and beverage industry. Our clients represent each segment of the supply chain – including manufacturers, processors, packaging, importers, specialty products, ethnic foods, distributors, retailers and restaurants. Our professionals have extensive experience with a broad range of services, from audit, tax consulting, transaction services to specialized financing services for this industry. We continually identify the available tax incentives, deductions and credits available to our food and beverage clients’ needs while adhering to the strict guidelines and rules prevalent in the industry. RKE has clients in the Health and Beauty industries ranging from manufacturers, wholesalers and importers to franchisors, franchisees and salons. Our expertise within this industry enables us to provide companies with high value tax, assurance and consulting services. We work together with each client to understand the unique nature of each business’ needs to identify the available tax incentives, deductions and credits available to them. Our critical analysis and practical solutions will identify business trends and opportunities for growth and help improve operational efficiency and profitability. RKE’s client base consists of owners of closely held businesses, entrepreneurs, high net-worth individuals and families. We have a committed team of professionals who can help you understand your financial outlook and analyze strategies to realize your long-term goals and objectives. Whether structuring buy-sell agreements, estimating cash flow from a business opportunity, assessing the potential value of a new venture – our clients have the security of knowing they have a team of qualified specialist by their side. As a high net-worth individual, wealth management, estate planning and charitable giving are activities that require strategy and planning. At RKE, we can help you identify and mitigate the risks inherent in achieving your financial goals. RKE professionals have extensive experience servicing a wide array of entities in the hospitality industry, including hotels, bed and breakfasts, and travel and tourism-related businesses. Our experts know the key issues and unique challenges affecting the hospitality industry. We work together with each client to understand the unique nature of each business’ needs to identify the available tax incentives, deductions and credits available to increase efficiency, profitability and your bottom line. We will also recommend strategies to promote our clients’ financial security and plan for financial peace of mind. RKE works with a range of entities in the banking and equipment leasing industries. Our industry trained professionals assist companies by providing equipment lease portfolio management, assurance, tax and management advisory services. We work together with each client to understand the unique nature of each business’ needs to identify the available tax incentives, deductions and credits available to them. Our critical analysis and practical solutions will identify business trends and opportunities for growth and help improve operational efficiency and profitability. RKE’s client base includes a significant number of manufacturing and distribution companies. We have a committed team of professionals that focus exclusively on manufacturing and distribution companies to ensure that they are identifying the available tax incentives, deductions and credits available to them. As former manufacturing executives, owners and operators, our advisors have real-world experience that translates into practical solutions. Dedicating personnel to this industry provides companies with a knowledge base unsurpassed by competitors and conveys our commitment to this industry. RKE provides accounting, tax and healthcare consulting services to long-term care facilities, clinics, physician practices, dental practices and other types of medical providers. Our professionals have the expertise to offer a variety of strategic solutions designed to address the specific needs of the healthcare industry. We work together with each client to understand the unique nature of each business’ needs to identify the available tax incentives, deductions and credits available to them. Our critical analysis and practical solutions will identify business trends and opportunities for growth and help improve operational efficiency and profitability. As international businesses continue to expand so too does the complexities they face with ambiguous, inconsistent and ever-changing tax rules. For example: transfer pricing, the process by which companies set arm’s-length prices for cross-border transactions within a corporate group, can be difficult to successfully manage and yet the potential upside far exceeds its complexities. RKE understands not only the tax rules on American multinational companies but also foreign tax rules, and the possible outcomes of their interaction. Further, RKE is able to assist organizations maximize the impact of key trends and challenges facing multinational businesses. RKE works with not-for-profit organizations of all sizes, as we help organizations and foundations assess financial performance, including operational and endowment performance, and evaluate and implement practices to improve corporate governance and accountability to achieve financial and philanthropic objectives. RKE works with entities in seeking opportunities to improve organizational efficiency and mitigate risks by assessing their internal controls and leveraging governance. RKE provides tax and advisory services to organizations and foundations with our team of dedicated professionals with deep expertise of the not-for-profit industry. Dedicating personnel to this industry provides companies with a knowledge base and hands-on services needed to navigate the challenges not-for-profits face on a continuing basis. 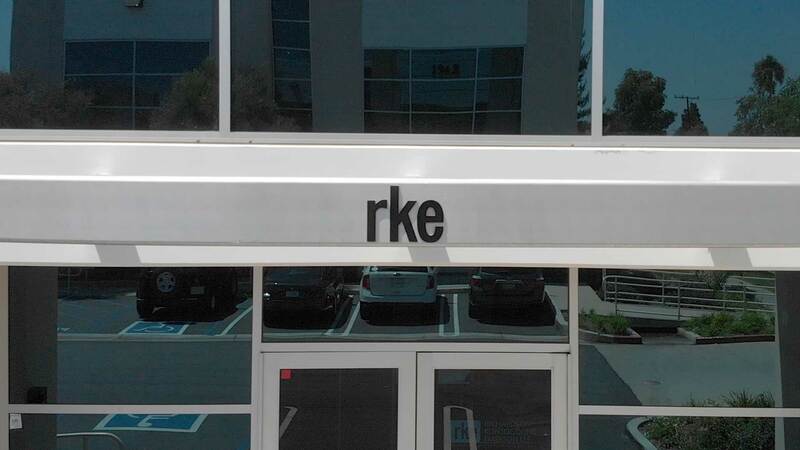 RKE knows what it takes to run a successful professional services firm, as we have faced many of the same challenges. Our skilled professionals understand your practice from both a service and business operations perspective. We represent a variety of professional service firms including IT staffing, recruiting, security, lawyers and computer and systems consultants. We work together with each client to understand the unique nature of each business’ needs to identify the available tax incentives, deductions and credits available to them. Our critical analysis and practical solutions will identify business trends and opportunities for growth and help improve operational efficiency and profitability. An athlete’s focus doesn’t necessarily include financial planning let alone tax strategy. It’s important that RKE meet with these clients and get them involved with their finances from the start. An athlete’s career can be unpredictable and our goal is to focus on their short and long-term tax implications. RKE can advise them during contract negotiations with regard to the wide-ranging tax affects; by reviewing the contract and focusing in on their client’s best interest we are able to add value to through our services. In addition, we are also there to assist with estate planning, asset protection, tax compliance, offshore investments in an effort to keep them financially secure in the years to come while allowing them to focus on their craft. In order to help extend the life of their careers, RKE can aid in generating lasting value by providing advantageous tax solutions. RKE has worked with residential and commercial developers, investors, real estate management companies, and real estate agents. We recognize that every real estate investment is different. We work together with each client to understand their investment goals and strategies. Our expertise of the real estate industry enables us to meet the specific needs of the client by developing effective tax strategies, structuring and financing developments or projects, and providing cash flow and profitability analysis that can help our clients improve operational efficiency, maximize profitability and cash flow and minimize their tax burden. RKE works with retailers of all sizes, from brick and mortar shops to e-commerce businesses to established chain stores seeking opportunities to improve competitiveness and profitability. Through our work with retail businesses, we have discovered the best practices for success, and we share these experiences with our clients. Whether it’s organizing systems, helping obtain financing or minimizing taxes, we find creative ways to help you grow your business and expand into new markets and locations. To remain competitive, retailers must remain extremely focused on operations, mitigate risk throughout the entire organization and tirelessly reduce operating costs. We have a committed team of professionals that focus exclusively on retailers who ensure that they are identifying the available tax incentives, deductions, and credits available to them. Dedicating personnel to this industry provides companies with a knowledge base unsurpassed by competitors and conveys a commitment that RKE has to this industry. RKE services a number of technology clients in a variety of areas, including biotechnology, communications, e-business, hardware, information technology, security, software and storage. RKE service professionals have extensive experience working with a wide range of issues that the technology industry faces, including revenue recognition, inventory valuation and obsolescence, debt and equity financings, IFRS and fair value accounting. With an understanding of the complex issues technology companies face, our professionals possess the experience to identify the available tax incentives, deductions and credits available for tax planning and compliance, audit and assurance services, to industry specific consulting. RKE’s client base includes a variety of trucking and logistic companies. Labor costs, operational inefficiencies, capital investment and structure, as well as risk management are continuing challenges for trucking and logistics organizations. Our expertise on this area allows us to provide specialized services to our transportation and trucking entities related to fuel taxes, state registration processes, buy vs. lease analyses, depreciation/capitalization rules, nexus and state and local tax issues and financial reporting. We work together with each client to understand the unique nature of each business’ needs to identify the available tax incentives, deductions and credits available to them. Our critical analysis and practical solutions will identify business trends and opportunities for growth and help improve operational efficiency and profitability.